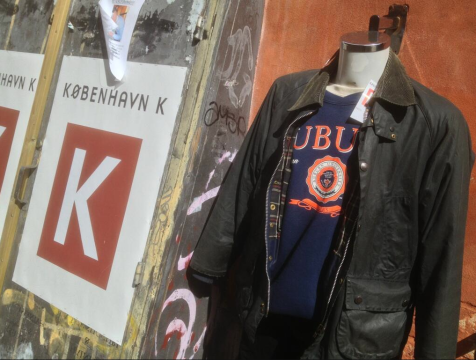 Currently among the money beets outside the entrance of København K, “one of the biggest and best second hand clothes stores” in the hippest part of Copenhagen? A late 80s Auburn sweatshirt paired some hip, vintage-ish jacket. Call it the Bjork effect. Related: Korean teens are super into Auburn hoodies. Thank you Bjork! I said hey hey hey!